So, what’s in the box? or, in this case, grip-top bag! A nicely produced rule book with some illustrated (in colour) examples of play and a few game charts. In addition there are are some interesting facts regarding the period and a few insightful notes by the games designer. A small card for turn / record keeping. One player aid card with some game charts on one side and scenario details on the other. 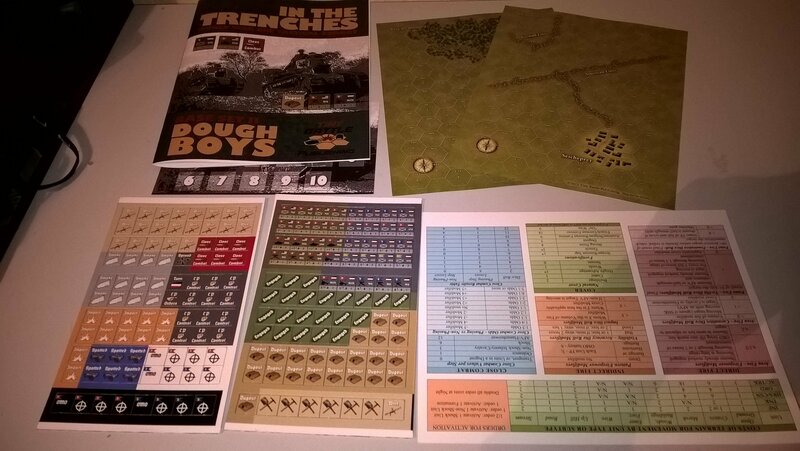 The rule book does include other game charts/tables which players will need to refer to. Just a personal observation here; it may have facilitated play to have had all the game related charts and tables on the player aid card and the scenario details in the rule book. There are three 8.1/2” x 11” maps, one of which is back-printed, each map being used for one of the three scenarios. The maps are well illustrated and I really like the art style used. One word of warning though; they are quite thin so care should be taken to preserve them, possibly by laminating. Two sheets of 5/8” counters, each of 88 pieces. Around 75% of these are markers or informational counters as, being a base game, they will be required in order to play any of the expansion packs. Again, I really like the art style used for the counters, and the information displayed thereon is clear and easy to read. 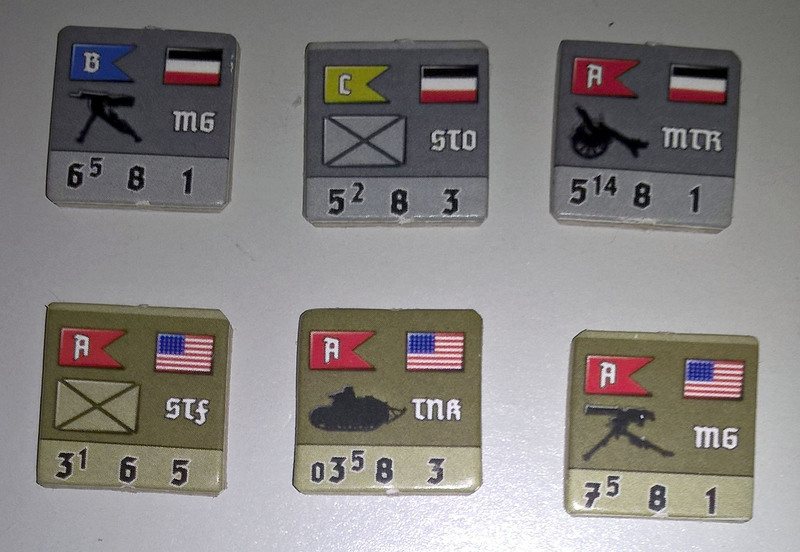 On my review copy, the die cutting was quite well done, and there was little or no colour ‘bleed’ although a couple of my counters were strangely out of shape. The counters are joined to the ‘sprue’ at the top and bottom edges of the counters. I personally am not keen on this method as it makes it just about impossible to clean them up and get nice edges. In addition, the card used seemed quite soft, giving a slight blurry appearance to the edges of the counters. None of this, however, distracts from the game itself, and I should hasten to add that the game is meant as an affordable product and therefore should not be compared unfavourably with the quality of components you would expect from considerably more expensive games from other publishers. In terms of value, I think this product represents excellent value for money, even more so if you choose the ‘print and play’ option and have the means to produce the components yourself. A visit to Tiny Battles Website will provide you with more information about this series and other games published by them. OK, so how does it play? The basic rules are pretty easy to comprehend and present no real problems, although there were one or two rules that I felt could have been explained better, but certainly its no more of an issue than with most other published games. There is not, as far as I’m aware, any errata for the series so far, which is a pity, as one would be very useful. However, the designer is quite active on BGG and CSW and seems to answer question reasonably quickly. Most of the issues I came across I either figured out for myself (eventually!) 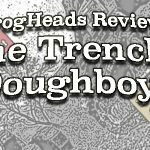 or found answers for on the BGG or CSW forums. This is a very interesting game system, and, I must admit, after playing the scenarios, I was pretty hooked on it. It generally flows very well, although it can slow down a little when you are resolving close combat situation with units in the same hex and where different levels of fortifications are involved. 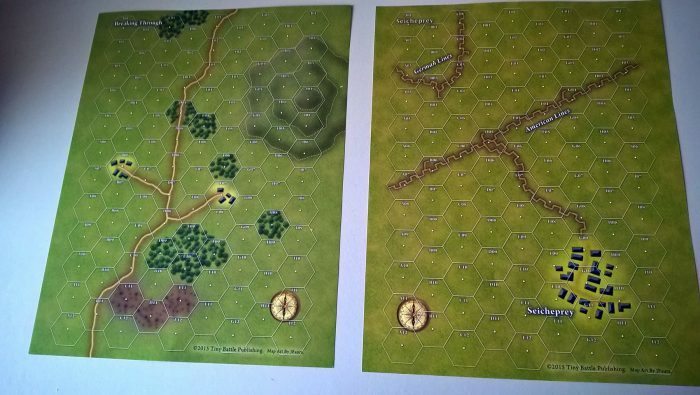 Also, a fair chunk of the rules cover ‘OMO’ (Off Map Ordnance) and indirect fire procedures, which, given the WW1 topic, is only to be expected. However, is does seem to work quite well and the rules for this seem quite effective. For some types of indirect fire, a player is able to specify different types of munitions, with HE being the default, you can also choose ‘Shrapnel, Smoke and Gas’ depending on the ordnance being used. At the start of a scenario, both players roll two die, the lower score being deducted from the higher, the resulting score being the number of ‘orders’ that the high rolling player can issue. On a tied score, the turn end unless its the first turn of the game. Orders allow a single unit, or formation, to perform a variety of actions such as move, fire or initiate close combat. 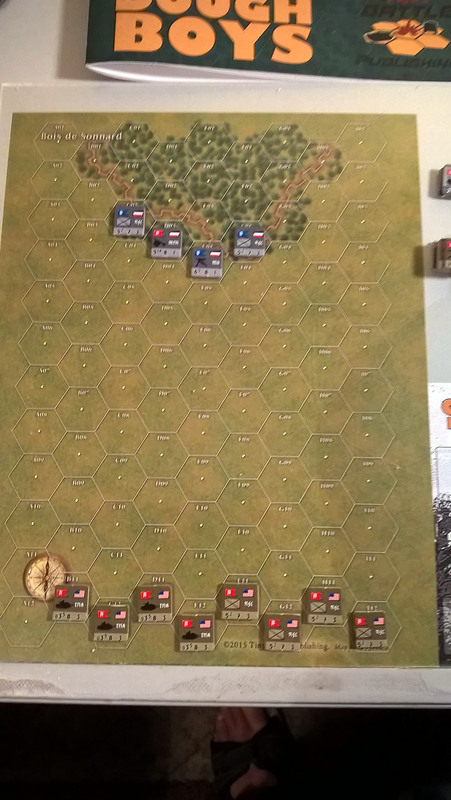 Each action escalates the unit/formation level from Free, to Engaged and then Spent, and combat results can also result in units taking step losses and increasing commitment levels. Moving units can also be subject to reaction fire, as can firing units, resulting in firefights which are resolved simultaneously. Add to this features such as smoke, fortifications, spotting and you have a lot of game in a very small package. All this results in a very fluid and dynamic game system, with the activation system ensuring that no two games play alike, thus providing a lot of replayablilty. In addition, I should add that al the scenarios have a low counter density and are quite playable in a reasonable time. I’ve now played all the scenarios in solo mode, and this proved to very enjoyable with no real problems. The only issue with solo play that I came across is when you assign off-map bombardments and need to place dummy target markers, but this proved to be a minor problem. Unfortunately, there are no Vassal modules for these games as yet, but hopefully, this lack will be addressed at some point. I would not hesitate to recommend this game system to anyone who is interested in tactical games and/or WW1 games. Its a very nice system and fun to play although there are, as mentioned above, one-or-two rules which take a little working out. Certainly, I would hope to be able to add the games in the series to my collection.